WNC Trestleboard: Congressman Heath Shuler to be raised! 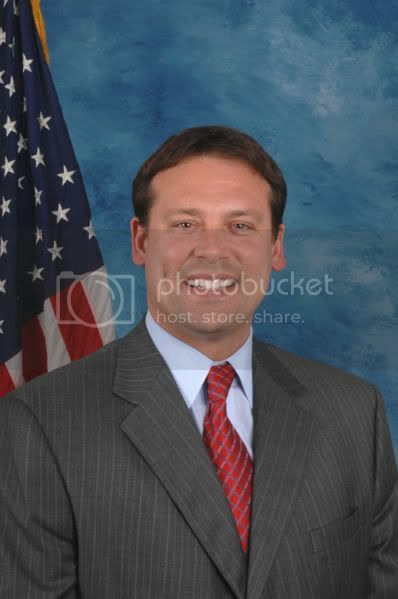 Congressman Heath Shuler to be raised! On Saturday April 12th at 1pm, Bro Heath Shuler of Bryson City(Oconee Lodge)will be raised to the sublime degree of Master Mason. The conferral will be held in the Fine Arts Bldg on the campus of Swain Co High School. This meeting will be tyled similarily to Grand Lodge...with the showing of a current dues card and the pass. I urge each and every Master Mason to attend this historic event. It is not everyday that you get to attend the raising of a sitting US Congressman. So, please make repirations to attend. For those who were unable to attend or refused to attend based on personal reasons the MM degree on Saturday for Brother Shuler, you missed a memorable event attended by 250-300 brothers from 3 states. There was much more to this emergent communication than just watching Brother Shuler take his obligation, meeting obstructions, and being raised upon the five points of fellowship by his father. How often does one get to witness a sitting United States Congressman complete such a journey, one in which his Masonic travels began well before he entered the political scene? He thought highly enough of what Masonry teaches and has to offer, by laying his congressional obligations aside in order to receive more light in Friendship, Morality, and Brotherly Love. What can one say about the lecture given by Right Worshipful Past Grand Master Charles E. Cathey other than “WOW!” You could have heard a pin drop while he was giving the lecture. I would dare say, nobody could give it from the heart the way he did on that day. I, along with Grand Steward Jim Medlin both commented to Brother Cathey that we better understood parts of the lecture now. The power-point trestle board he used during the lecture, was one he put together himself, and he informed me yesterday evening, it still wasn’t finished. Having heard Companion Cathey during the knighting of new companions in the Knight Templars Order, I never considered how impressive he would be at any other lectures. Brothers, if you ever get the chance to hear in action, please don’t pass it up, for there a very few orators such as him still around. Right Worshipful Past Grand Master Berry Rigdon was just as impressive while addressing Brother Shuler just prior to him begging his journey, and while representing King Solomon. While he was stern, he also showed compassion when needed. If one watched closely the presentation of the “trestle board” for Brother Shuler’s future rule and guide of faith had a little “slight of hand.” The Holy Bible he was given was the one on which he took his obligation. If you watched close, you would have seen the swap take place atop the alter. The bus from Tennessee was carrying the Scottish Rite Degree team, and I am working on finding out when the will perform the ritual close by, so some of us can go watch them in action. I had the opportunity to watch them a year ago, and they perform a beautiful ceremony - same legend as ours, but presented in costume in a very theatrical way. Other distinguished guest in the gallery included Past Grand Masters from the State of Tennessee and North Carolina. Witnessing our current Most Worshipful Grand Master David R. Cash close a lodge is a memorable event in itself, and not one in which one would sleep through! Great Video explaining the York Rite! Junaluskee Lodge carries home braggin rights! Special Demolay exploration meeting to be held!